Baton Rouge Water Company is proud of the fine drinking water it provides. 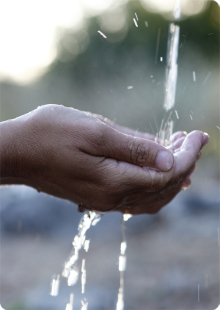 We operate 65 ground water wells in various sands of the Southern Hills aquifer system which underlie our service area. Water from these sands is of excellent quality with a natural low hardness concentration and is not subject to surface water influences. Our system is backed up by auxiliary diesel engines and generators preventing widespread service outages if the electricity goes off. Hurricanes Katrina, Rita, and Gustav are perfect examples of our system's reliability - power was off in much of the city after these storms, but the water kept flowing.